Need a super simple party food that can be made in a snap and will make your guest begging for more? 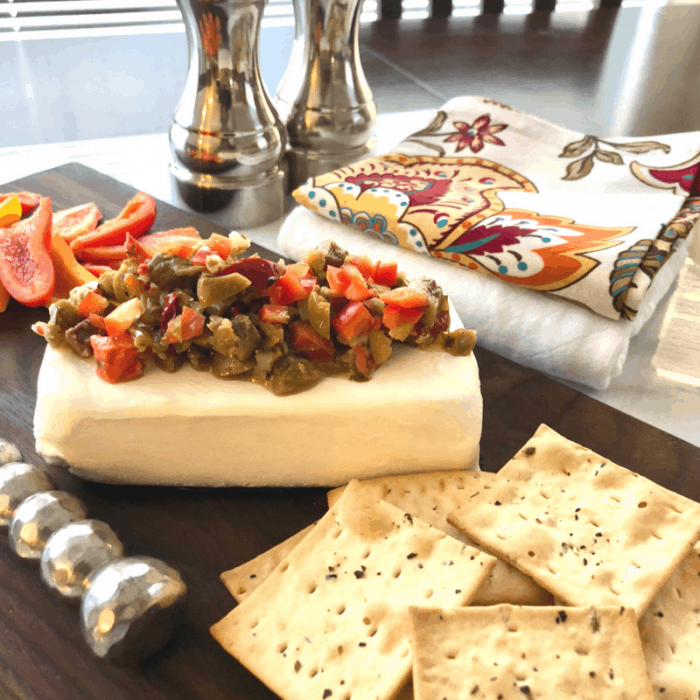 Try our Cream Cheese Olive Tapenade Spread. It is fantastic! With three simple ingredients, you will be amazed at the savory salty flavors of the olives and how they compliment the cool cream cheese. This is the perfect appetizer for summer BBQ’s, gatherings, and celebrations. 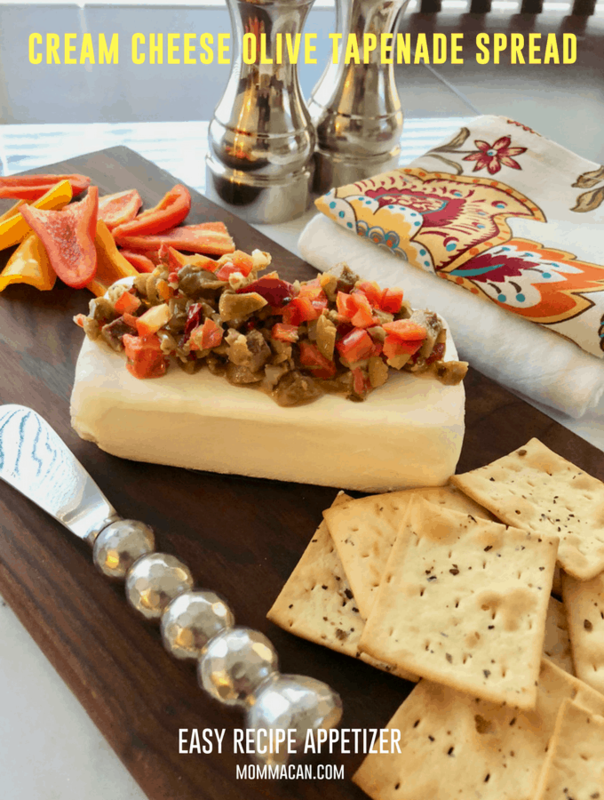 The Cream Cheese Olive Tapenade Spread pairs with crisp rosemary crackers , vegetable crudites. I used bell pepper strips in red, yellow, and orange and it truly complimented the colors in the tapenade. For best results, keep cream cheese chilled, put the recipe together 15 minutes before serving to keep the shape of the cream cheese block. Use your favorite olive tapenade. I chose a chunky mix but gave it a sparse chop so it was spread easily on the cracker. This post contains some affiliate links for your convenience (this means if you make a purchase after clicking a link I will earn a small commission but it won’t cost you a penny more)! I appreciate your support. Read full disclosure here. Let’s Get Cooking! This recipe is so easy and so good. 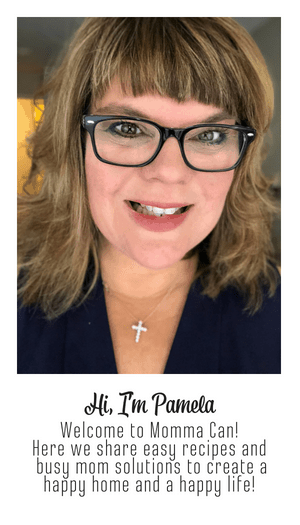 I encourage you to print it out and add it to your meal planner or create a new printable planner with just ideas for appetizers and desserts when company comes! Cream Cheese Olive Tapenade Spread recipe, a perfect party appetizer. 2 tablespoon finely chopped red bell pepper – this brings out the beautiful red colors in the olive mixture and adds fresh crunch! Place block of cream cheese on serving plate that you love. I use a wood cutting board, works great! Spoon Olive Tapenade on top of the block of cream cheese. Sprinkle chopped red bell pepper for added color. Serve with sturdy artisan crackers and fresh vegetable crudites. Keep cream cheese cold until ready to assemble. 15 minutes prior to serving is perfect! Guess I’ll have to share when I make it. This is my kind os snack!